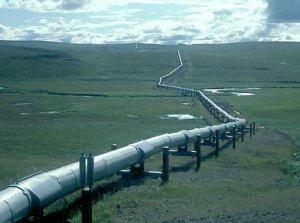 This is Your Gas Pipeline. This is Your Gas Pipeline in the Free Market. It turns out that pipeline quality in a regulation-free environment is poor. A few days ago, I posted about a fire department that had to apply a fee-for-service revenue model to surrounding rural areas because the residents there refused to pony up tax money to properly fund their fire service. The model, naturally, had a devestating effect on one particular homeowner and was an excellent demonstration why privatization doesn't work for critical community services. And yet free-marketers insist on privatizing. Like many other lines crisscrossing the state's Marcellus Shale regions, this pipe was big - a high-pressure steel line, 20 inches in diameter, large enough to help move a buried ocean of natural gas out of this corner of the state. It was also plenty big enough to set off a sizable explosion if something went wrong. There was trouble on the job. Far too many of the welds that tied the pipe sections together were failing inspection and had to be done over. A veteran welder, now an organizer for a national pipeline union, happened upon the line and tried to blow the whistle on what he considered substandard work. But there was no one to call. Because the line was in a rural area, no safety rules applied. Great, huh? No wonder these people don't want any pesky regulations overseeing their business. That's probably the same reason the energy industry got itself a nice exemption from the Clean Water Act.